Please tell me how to go from colombo kotuwa to BMICH? Please tell me how to go from Athurugiriya to BMICH? Please tell me how to go to CA Institute (Malalasekara Mawatha) from Fort Railway Station ? How much will it cost me to take this bus from Angulana to Orugodawatta? 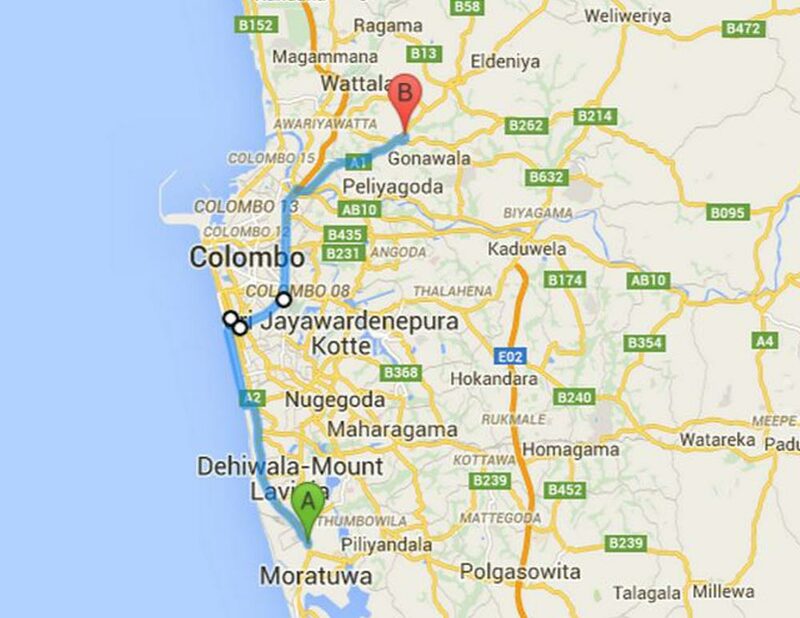 How do I get to KADAWATHA from Borella? Is 193 Bus from Town Hall functioning? I want to go to vidya mawatha.can i go there from this bus? Can I travel from Dehiwala Hospital road Junction to Ratmalana Airport on this bus? Where do I get on the bus? What is the time schedule for this bus? If I need to go to the BMICH, can I take this bus at orugodawatta junction..??? Looks to me like you can – the map shows the route.